We're going to take a break from finding our story to talk about learning from other writers. Yes, I am doing this because I want to talk some more about the book expo I attended last week. But anyone beginning a new line of work or a new craft can learn from those who have more experience in their field. And new writers can find more experienced writers at book expos, festivals, store appearances...you name it. No, you don't go to get ideas for the public appearances you're going to make after you publish the book you haven't written yet. You go to hear what writers have to say during panel discussions and other kinds of presentations. You go to ask questions, if you have a chance. At Wednesday night's expo you could have heard writers talking about outlines, writing groups, organic writing, and much more. Associating with writers can help a person new to the field feel more like a writer, too. On Wednesday evening, I met Esther Friesner, a Nebula award winner who has written the Princesses of Myth series. She's been writing science fiction and fantasy for a couple of decades. Among her works, she told us during our panel discussion, are two Star Trek novels. 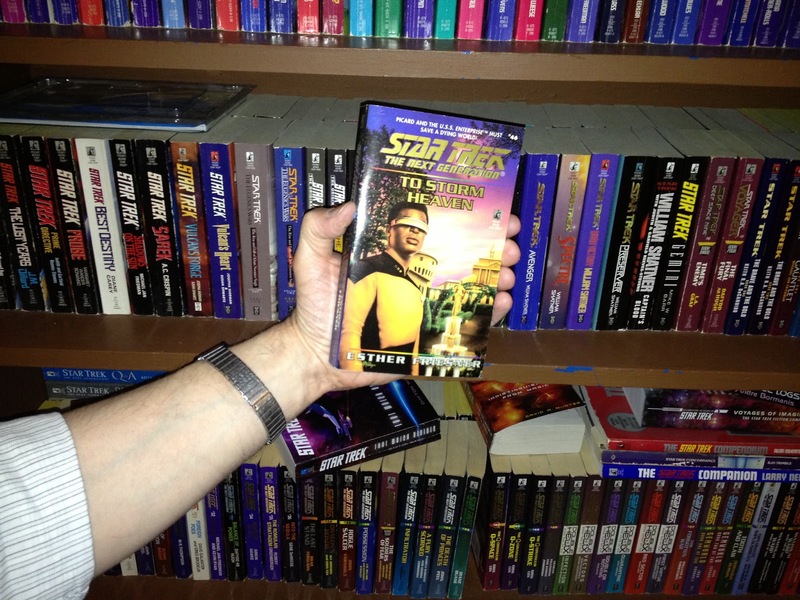 Now this was of great interest to me because here at Chez Gauthier we have, as a rough estimate, between two and three hundred Star Trek novels. 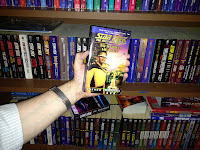 So when I had a chance, I went up to Esther and said, "Hey, Esther, were either of your Star Trek books for Classic Star Trek or Next Generation?" Well, it turns out she wrote for Next Generation and Deep Space Nine. Come on. Somebody has to know what I'm talking about. Well, the next day, someone who has actually read those two to three hundred books, went through the stash and found that we do have in our house Esther's book, To Storm Heaven. I have appeared with a Nebula winner and have her book in my house.